When Palma violets appeared on the front cover of NME ‘s annual ‘best new music’ issue, they followed in the lineage of other well-dressed, poorly groomed young men with guitars. Franz Ferdinand, Bloc Party, The Vaccines, The Drums etc – bands who burst onto the scene with bratty, impactful albums before expanding, inflating and often blowing apart on album number two. Palma violets have followed the course laid down with gusto. It’s typical second album syndrome all over again. ‘Danger in the club’ takes ‘180’s core formula of intense performances, high energy tempos and dashed off lyrics and explodes it. The fast songs are faster, the slow songs are slower, the weird songs are weirder and the sloppy songs are sloppier. For all that is gained in this expansion. arguably even more is lost. The two polar influences on ‘180’ were Nick Cave and The Clash and their influence is even less disguised in these songs. ‘Girl you couldn’t do much better on the beach’ is a catchy pub rock number where chilli dons his finest Joe Strummer impression, punching out the syllables and spitting venom over organ swirls and rancid guitar. At the other extreme ‘Matador’ nods to early Bad seeds weirdness with its lurching, sinister melody, unsettling atmospherics and shifting tempo. Other influences become apparent; the chaotic (probably more considered than it sounds) playing of Hollywood recalls early Babyshambles, whilst the lovesick ditty ‘the jacket song’ sounds like ‘Radio America’ by Pete Doherty’s other band, The Libertines. You can hear hints of many other classic British guitar groups from Mott the Hoople to The Fall but unlike any number of contemporary guitar groups (Peace, Swim Deep, Catfish and the Bottlemen etc) Palma violets never sound generic or overly familiar. They’ve done enough to implant their own voice and style on this album and ‘Danger in the club’ shows them off as being a distinctive band, rich on personality as well as attitude. But also short on songs. Their debut had ‘Best of Friends’ which was justifiably called NME’s best track of 2012. ‘180’ had a few more songs that came close to being as good; ‘Danger in the club’ has none. Worse than the lack of classic songs is the presence of barley passable ones. The first half is strong, but side B focuses on the slower numbers, and they’re one thing I never though Palma Violets would be – boring. When The band slow down enough to make you concentrate on this finer details – singing, lyrics, arrangements or anything like that – you realise there just isn’t much going on. Like an old car that looks fantastic speeding down the highway – until it parks up and you examine the shoddy body work and leaking engine. Palma violets are best when they blitz by 100 mph. There are also issues with the sound. The sludgy production that complements the energetic songs hinders the slower numbers and the mix downplays Palma violets most interesting musical elements; the keyboard. Still when you look past its flaws, ‘Danger in the club’ is mostly enjoyable and endearingly unimportant. Palma Violets don’t demand that you extract sophistication or meaning from these songs, they just demand that you go crazy when you hear them in a club or at their next gig. Which leads me to my final point; Palma Violets remain the best live guitar group of the moment. In that context these songs come alive. 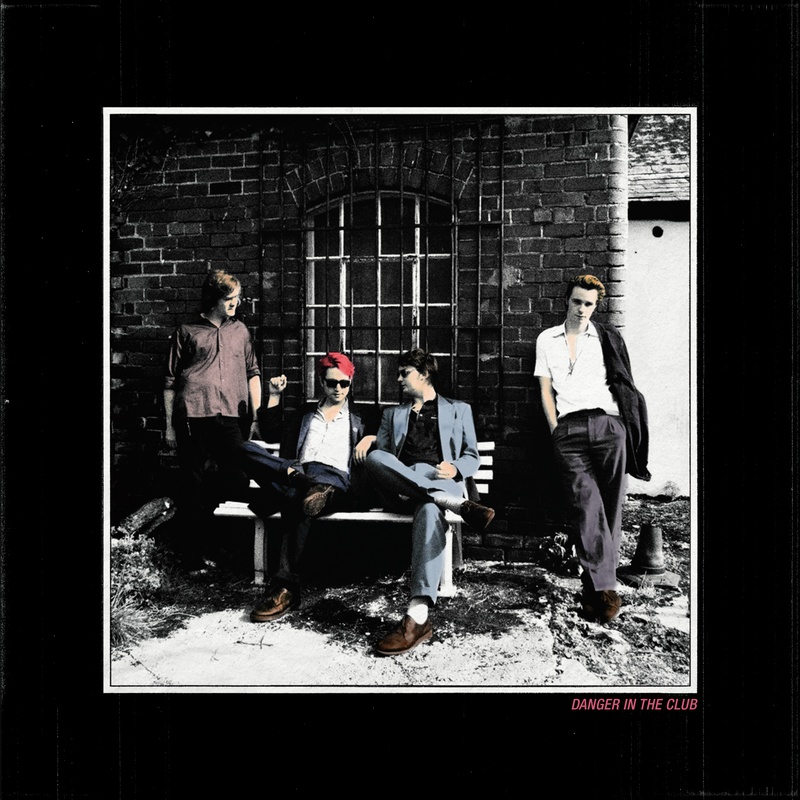 ‘Danger in the Club’ might not be a great record but it does give the band decent ammo for their next tour. Brandon Flowers has a careerist streak that hasn’t been fashionable since Britpop’s hayday. He wants to tour stadiums and he’ll call out his bandmates who don’t want the same. He wants to be played on radio one and will publicly ask the boss of the station if his age is related to him not making the playlist. He knows he needs to make classic records and he will admit when he’s fallen short (“Battle born wasn’t good enough and we all know it”). If the killers originally seemed to be a stateside human league or Depeche mode, it now seems clear that Flowers has always had a little more George Michael in him. With that in mind ‘The Desired Effect’ is his ‘Faith’. The album, the follow-up to 2010’s better than you remember ‘Flamingo’, is only here because, according to Brandon, his bandmates weren’t on the right page at the right time. Instead he has hooked up with producer of the moment Ariel Rechtshaid, whose recent work with Vampire Weekend, Haim, Sky Ferreira, Charli XCX, Blood Orange and Tobias Jesso Jr has impressed critics. And critics have never been particularly impressed with Brandon Flowers, despite him being responsible for some of the most popular songs of the century so far (if you think I’m exaggerating, name me a rock song that’s been requested more than Mr Brightside). Ariel adds some hipster magic dust to Brandon’s typically sentimental pop fare that may change their mind. The combination is a complete success. The lyrics, the melodies, even the synth sound, are all still distinctively Brandon’s own, but the production, rarely an interesting feature of past killers albums, has a vibrancy that is brand-new. It’s the outstanding element of the record. ‘Can’t deny my love’ is a brilliant song with a memorable hook, and would be however it was produced, but this version is even more electric than it might have been. The guitars are loud and crunchy, the backing vocals are prominent and the percussion is propulsive and funky. It sort of sounds like something from the 80s but the way the myriad of sounds and styles has been brought together by Arial Rechshaid is very contemporary. Aside from the production, this is Brandon Flowers best collection of songs in a while. They are tuneful and melodic and deal with a wide range of topics centering around faith and love. Flowers is a poptimist. On the opening track, ‘dreams come true’ he sets out a vision of patient faith and hope and he frequently affirms his striking message with the musical compliment of horns, bombastic drums and gospel choirs. His voice is confident and assured; ‘a natural believer, I don’t carry any bones, if you see things a little different I’m not casting any stones’. It’s a faith that shakes a little here and there, one that requires letting go of some things and holding on at other moments but Brandon is convincing in his dedication and sincerity, and ‘The Desired Effect’ strikes a thoughtful note about perseverance in one’s belief, for a great outcome on the horizon. Of course Pop music is the best vessel for these thoughts as it’s a genre with few hang ups and no time for pessimism. It is the arena In which Flowers works best and he’s been wise to shave off the flamboyant Las Vegasisms of his debut solo album as well as the stadium rock signifiers of the last Killers record. In fact, it’s hard to think of any serious album in recent years that has embraced undiluted, unashamed pop music in such a celebratory way. His interest in classic songwriting and production occasionally leads him towards cliche and repetition but that’s only a result of his ambition to sound like the greats. You can hear Springsteen in his storytelling, McCartney in his melodies and Pet Shop Boys in the synths. In all this homage he possibly doesn’t carve out quite enough space for his own personality to shine through – it’s there, but maybe not enough. The question is whether that’s an issue when you’re left humming so many fantastic tunes. 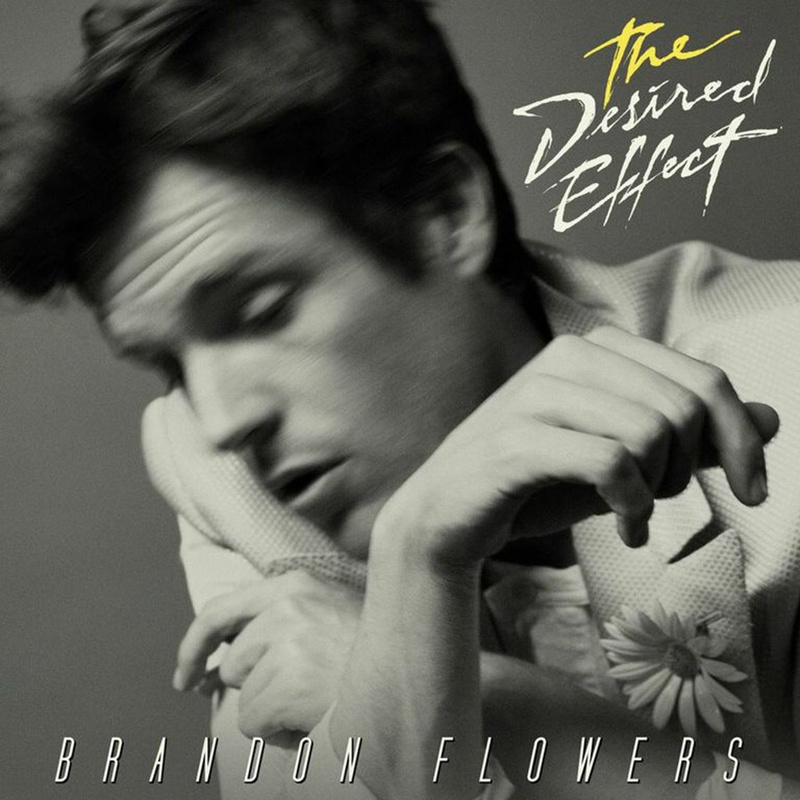 ‘The Desired Effect’ may be a somewhat slight record (ten songs long, and it followers the trend of all Killers albums by being extremely front loaded in terms of quality) but in an age where it is a prerequisite for pop to be prefixed with a trendier tag (synth-pop, country-pop, electro-pop etc) it’s nice to find a pop star in the old mould; Elvis hair cut, high cheek bones, focused on classic songwriting with a whiz kid producer behind the boards. He’s achieved the desired effect. I didn’t come to ‘Wilder Mind’ as a hater, though Mumford and Sons are indeed one of the most hated bands out there. That’s to be expected, they are also one of the most popular, and popularity breeds contempt. But personally I find it hard to hate the banjo, the instrument which up until now has been synonymous with Mumford and Sons, and I also find it hard to hate a bunch of hard working, and by all accounts lovely, lads who make inoffensive and sometimes rather nice folk-rock. So this isn’t going to be the trashing that Mumford and Sons have often been on the receiving end of. I like ‘Wilder Minds’ a lot more than I was expecting, and a lot more than the score below suggests. I like it in spite of its massive and obvious flaws. I am aware that all the melodies sound identical. I am aware that the song structures are astonishingly repetitive and predictable. I like it despite all the cliches, both musical and lyrical, on display. I probably like it more than you, the music fan who seeks out reviews on obscure indie blogs, and I probably like it less than the millions of people around the globe who will send it to number one this week. The big hook with ‘Wilder Minds’ is that Mumford and Sons have ditched the banjo and gone rock. Of course they haven’t really ‘gone’ rock, in fact they’ve changed virtually nothing except they now plug their instruments in, which is to say they’ve always been a rock band in 19th century clothing. It’s the kind of ‘rock’ that I usually can’t stand; over produced, melodramatic, reverby, anthemic, sluggish, overbearingly masculine, whiney and very, very white. Think U2, Simple Minds, Bon Jovi or Kings of Leon. The thing is, I may find those bands repellent much of the time (actually, I really like Kings of Leon), but equally I am aware that when you are in the middle of a field or Stadium, and there are thousands of people singing along to a song you somehow know all the words to, this type of music can be overwhelmingly powerful. And it’s in that situation that Mumford and Sons are already very successful. And so surely ‘Wilder Mind’ is going to be a consolidation of power? A leap in the direction they’ve always been heading in? Well it is and it isn’t. As I say, there is very little that is actually different about this album from the other two, once you get over the fact there is no banjo. The chords are the same, the melodies sound similar, the lyrics deal with the same things and they are structured in the same way. Don’t let the leather jackets fool you; Mumford and Sons are still Mumford and Sons. So it comes down to the strength of the songwriting and whether that will be enough to differentiate ‘Wilder Mind’ from ‘Sigh No More’ and ‘Babel’. In that department Mumford and Sons have received little acclaim from critics, but in response to that argument I’m sure they’d simply hold up their platinum discs, Brits and Grammy awards. Or maybe they’d pass you on to the massive crowd who watched them headline Glastonbury a couple of years ago. Are you going to tell them Mumford and Sons can’t write a stirring song? So lets assume that they are good songwriters, and that ‘Roll Away Your Stone’, ‘I Will Wait’, ‘The Cave’ etc were hits for a reason. Is anything here going to replace them in the setlist? Probably not. The songwriting is consistently good but never anything more. The two singles ‘Believe’ and ‘The Wolf’ strain in all the right directions but sound exactly that. Strained. They wrestle to squeeze all the right emotions out of the choruses but I never feel hooked in. Better is album opener ‘Tompkins Square Park’ which feels genuinely heartfelt and has a skyscraping, sing along chorus. ‘Ditmus’, one of many songs that deal with the dying days of a relationship, is equally moving. These are they type of songs that on paper read as trite, cliched gobbledygook, but when sung aloud by a large audience make you briefly believe that heartbreak can be cured in a three and a half minute pop song. Over twelve tracks the Mumford and Sons formula is tested to breaking point. The tempo barely changes, and one song melts into another all too discretely. Ask me to hum one and I would struggle. If I could, you probably wouldn’t be able to identify which one it is anyway. They all just sound the same. But I like Marcus Mumford’s voice. The accent and mannerisms used to grate on me, but I find his singing here more nuanced. On ‘Tompkin’s Square Park’ he displays an impressive range, hitting high and low notes convincingly, and nailing the subtle verse as much as the belting chorus. Producer James Ford (Arctic Monkeys, Haim, SMD) has done surprisingly little to elicit any kind of groove out of the band. The added synth arpeggios and hints of electronic percussion don’t add anything except unnecessary noise. Mumford himself acted as the drummer, and he isn’t a particularly skilled one. The plodding rhythms add no dynamism, and you would struggle to say anything, either positive or negative, about the almost invisible basslines. The arrangements are bland and unadventurous and they are structured with no imagination. The songs start off quietly before exploding (I use that term loosely) in to controlled chaos. Sometimes they explode during the first chorus, usually after the second chorus and sometimes after the bridge. But with only a couple of exceptions this is how all the songs unfurl. Ok. Nice. Not bad. Bareable. Fine. Maybe even Pretty decent. These are the adjectives that most easily spring to mind when thinking of ‘Wilder Mind’, and you have to think that Mumford and Sons core demographic probably wouldn’t disagree. They would quite possibly use them in a complimentary way. 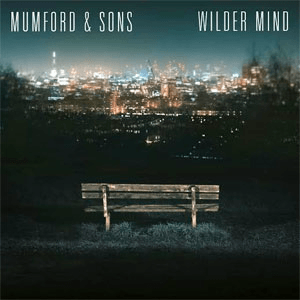 And back to my original point – I like ‘Wilder Mind’. You can’t listen to challenging or indulgent or heartbreaking or life changing music all the time, you’d wear yourself out. Sometimes ‘nice’ music is all you want to listen to. As part of a balanced diet, it may even be necessary. For those moments I give you Mumford and Sons. On the song ‘Romulus’, from 2005’s epic ‘Michigan’ album, Sufjan Stevens sung about a mother. At the time few people suspected it was about Sufjan’s own mum as the album was full of characters, mainly fictional and historical. Slotted neatly in the middle of this very biographical album, why should the mother in Romulus be Stevens’ own? So when he prayed her Chevrolet never be ‘fixed or be found’ and said he was ‘ashamed of her’ we didn’t take it that the ‘i’ in the story was Sufjan himself. Afterall, Sufjan Stevens is an artist dedicated to artifice and storytelling – despite the traditional folk tools that he often uses, he’s about as far removed from the ‘confessional singer songwriter’ as anyone you could imagine. Isn’t he? ‘Carrie and Lowell’ is not only a significant, abrupt and accomplished left turn in to (for serious want of a better word) “confessional” territory, it also makes us rethink everything we thought we knew about the artist and his oeuvre. 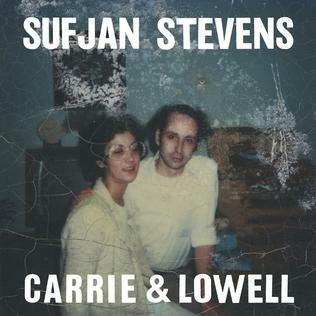 After listening to ‘Carrie and Lowell’ you will never hear Romulus, or many of Sufjan’s other songs, in the same way again. He achieves here what no other popular singer-songwriter I can think of has achieved – an astonishing meditation on death that is somehow compelling, thought provoking and enjoyable. It’s impossible to fully understand or appreciate ‘Carrie and Lowell’ without some knowledge of the events that inspired it. Sufjan’s mother Carrie passed away in 2012 after a Cancer battle. Sufjan and Carrie’s relationship had been strained; Carrie, who suffered from depression and various addictions, abandoned Sufjan when he was a child, and saw him in-frequently through his childhood. There were some good times though; summers spent in Oregon (an important location on the record) where Sufjan, Carrie and Lowell (Carrie’s husband and Sufjan’s step Father) would briefly interact like a normal, dysfunctional family. Many of these memories, and the emotions related to them, are disected on this record. There is no doubt that Sufjan loved his mother but it’s unsurprising that he also had, and continues to have, conflicting feelings about Carrie. This album, named after his mother and Step Father, finds Sufjan wrestling with those feelings in an effort to process the grief, hurt, anger and devotion that he felt towards her. It’s an honest and through account of mourning that is rooted in specific memories and emotions but will be universally appreciated by anyone who has lost somebody close to them. Loosely, the album can be read as a an exploration of the grieving process, where Sufjan moves through what is commonly known as the ‘five stages of grief’. So we have some denial (‘Mother I can hear you’), anger (‘my prayer has always been love, what did I do to deserve this?’), bargaining (‘what could I have said to raise you from the dead?’), depression (‘Now I’m drunk and afraid, wishing the world would go away’), and acceptance (‘nothing can be changed, the past is still the past, the bridge to nowhere’). Except, it’s not quite as simple as that. Over the course of twelve heart-breaking tracks, Sufjan falls apart and attempts to pick himself up and put the pieces back together, only, unlike some Sufjan Stevens albums, the narrative isn’t straightforward or linear. The moment of greatest clarity and understanding doesn’t come at the album’s end, but rather at the beginning, where Sufjan realises that ‘every road leads to an end’. The final song on the album, ‘Blue Bucket of Gold’, in contrast, seems to find Sufjan at a point of doubt, reaching out to God, his friends and fables in search of his ‘gold’, what ever that may be. Perhaps what Sufjan is saying is that there is no start and end when it comes to life and death, and neither are there answers or solutions. The melodies are as perfectly realised as the lyrics. They are evocations of sadness – the way they rise and sink, and seem both foreign and oddly familiar at the same time. They are delivered by a voice as distinctive and remarkable as any other; his singing, in a falsetto that seems to glide with no strain, is heavenly. The music underneath does nothing to get in the way; it’s warm and simply arranged, ensuring the focus is mainly on the words and melodies. in One sense ‘Carrie and Lowell’ seems to demystify the grieving process; through serious contemplation, explanation and meditation it makes the unknowable seem somehow more knowable. Perhaps it’s the simplicity of the lyrics and arrangements, coupled with the complexity and never-ending depth of the emotions being explored that gives us a sense of some understanding; understanding of what it is to mourn, understanding of faith in the face of loss, and I suppose understanding of the ultimate lack of understanding. On ‘Carrie and Lowell’, as in life, nothing is answered fully and there is no happy ending. But the album leaves me feeling closer; closer to music, closer to life, closer to death and closer to God. It reminds me of the healing power of music and the comfort that can be found there. They may be thirteen years in to their album career now, but in a way The Cribs have been acting like a band in their second decade since the release of ‘The New Fellas‘ in 2005. Workmanlike and dependable, but never remarkable, their catalogue is full of good albums but short on great ones. ‘The New Fellas’ felt like their best shot at the big time, and it remains their finest album. Ever since they’ve been content to be there or there abouts, but they’ve never struck me as being particularly ambitious. Which is why ‘For All My Sisters’ feels like a make or break moment. You feel that if they have it in them to make a classic record, this may be their last chance. Afterall, they’ve just signed to Sony records, making this their first release on a major label. They wont get that kind of chance again if this doesn’t make the grade. On those grand terms ‘For All My Sisters’ is a failure. It’s too cynical and jaded to scan as true pop, and not biting enough to compete with their better, earlier material. As a result ‘For All My Sisters’ gets lost somewhere in the fog and ultimately feels disappointingly confused. The songs are bright, energetic and hooky but just a little bit too polished and safe. Perversely, the really brave thing to do would have been to just go for it and make an actual pop record, using a modern producer and recording techniques, rather than just make a half-hearted effort like this, which probably isn’t going to appeal too much to anyone. They recently said they haven’t listened to the radio in years and it shows; they may class ‘For All My Sisters’ as “pop” but nobody who has even a passing interest in modern music will identify it as that. With our expectations readjusted, we can instead see it as a well meaning, modest, old-fashioned power-pop record. 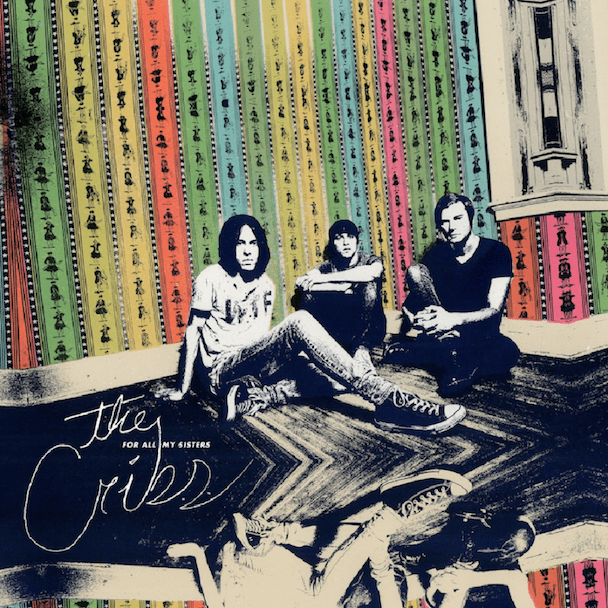 The Cribs trace the line back to New York Dolls, The Replacements, Weezer and Foo Fighters. Album opener ‘Finally Free’ is the best song on here; the whole point of ‘For All My Sisters’ was to bring melodies and hooks to the fore, and ‘Finally Free’ has the best melody and hooks. With no production gimmicks to hide behind, and with an emphasis on simplicity and clarity, the record lives or dies on the strength of the song writing, which is consistently good but rarely (if ever) outstanding. The better songs, ‘A Different Angle’, ‘Summer of Chances’, ‘Ivory Hand’ feel like retreads of earlier songs, while the weaker songs amble along without causing either much pleasure of offence. You’re left with the feeling that The Cribs best songs are behind them. There are genuine pop/rock classics in their back catalogue, and they featured on last years ‘Payola’ compilation – a record that suggested, and that ‘For All My Sisters confirms’, that The Cribs are a singles band, albeit one whose singles don’t really bother the charts. ‘Man’s Needs’, ‘Cheat on Me’, ‘Mirror Kisses’, ‘Hey Scenesters’, ‘Leather Jacket Love Songs’ – there they found crossover material without trying anywhere near as hard as they do here. Maybe that’s a lesson to be learnt.